[EN] Kalypso Media Monthly Update - November - Free content updates, the Machine-God and El Prez! This month Kalypso titles have seen free content updates and a glimpse of what’s to come. In addition, El Presidente is waiting for you, as the Tropico 6 Steam Beta is playable via pre/ purchase on the Kalyso Media Shop and on Steam. The Tropico 6 Beta on Steam received two updates based on Community feedback. The big content update November 6th added a completely new mission, a new sandbox map and many improvements and fixes. An update on November 23rd focused on bugfixes and stability. You can easily join the beta by pre-purchasing Tropico 6 on Steam. 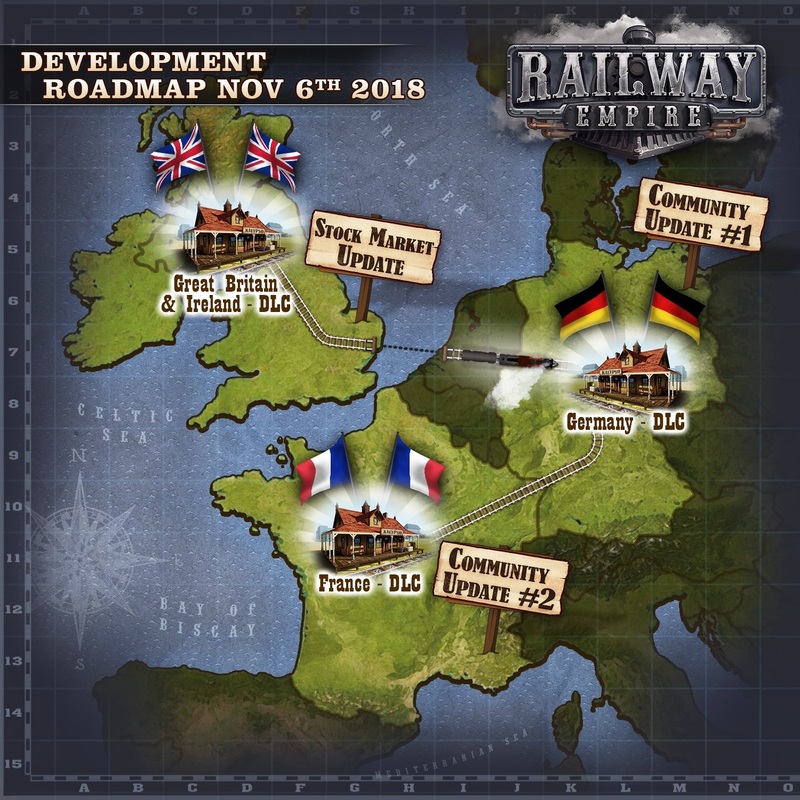 Railway Empire is heading to Europe! Additionally on November 7th, we updated our Public Test Branch on Steam and giving players an early peak chance at the upcoming 1.7 update. On November 8th, Dungeons 3’s 1.5.4 update was released. The new update added a new sandbox map along with fixes and improvements. On November 16th, Sudden Strike 4’s 1.13 was released. This new update introduces a new Armored Doctrine, new vehicles and a new multiplayer map. Take control of one of the most technologically advanced armies in the Imperium - The Adeptus Mechanicus. Your every decision will shape the missions ahead and ultimately decide the fate of the troops over 50 missions.